It's been fairy cool, and soil temperatures have remained pretty cool. No one around here is in a big hurry to get in the fields. We celebrated Dave's "BIG 40th" a couple weeks ago. I really thought I would have a big party for him. I did surprise him for his 30th, and our 10th anniversary. No party this year. It was probably the best since he wasn't feeling the best. His favorite cake is angel food. So while he's home with a sick kid, and not feeling the best himself, he made his own cake! He told me I was in charge of the icing. I knew he would want the homemade caramel icing. You can't walk away from this project. It needs your attention. 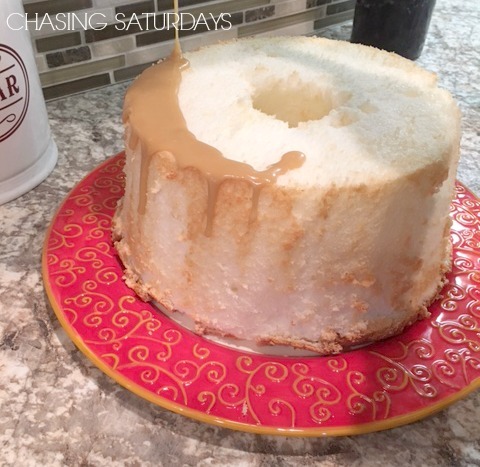 We have featured this caramel icing recipe when we made Angel Food Cupcakes. 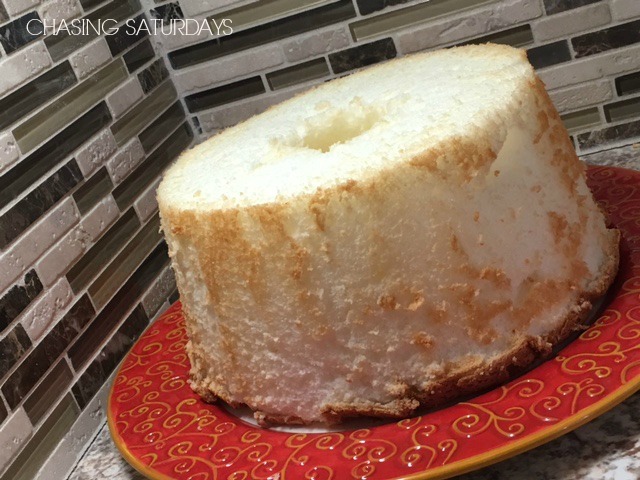 The end result is delicious and fabulous, and you wonder why you don't make angel food cake every week! Are you waiting for the recipe? I could post about 40 pictures of this cake or make a movie. Macie helped take pictures. Lots of help from the family in the kitchen. Bring to a boil, constantly stirring. Remove pan from heat, and set aside. Stir in 1 tsp vanilla. Stir in enough powdered sugar to make spreadable. 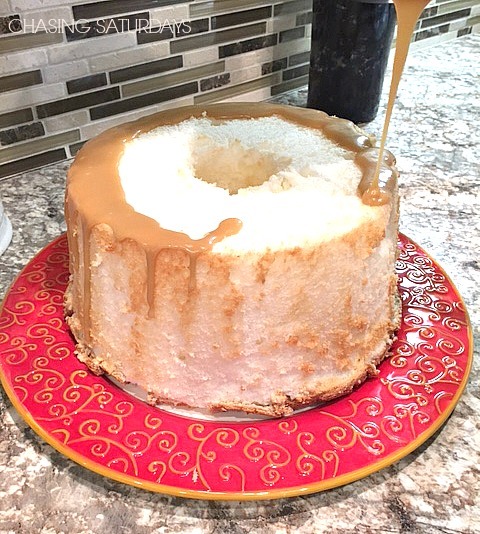 Immediately pour over cake. I linked to the Meal Plan Monday, go check out some other great meals! I linked to the The County Cook - The Weekend Potluck. 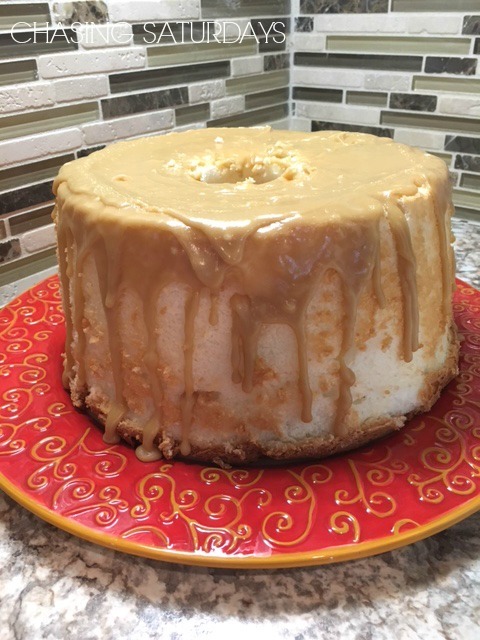 Food cakes are amazing and easy to bake than the others and the recipe you have shared is good and is easy to make. Hoping to see more recipes from your blog soon. How is lawn soil different than field soil? Leveling out a new yard. How to you prepare?